These come with either Double or twin beds and are situated in the front building of the hotel to capture the commanding, panoramic sea views and breeze. 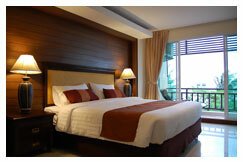 As with all rooms, these suites have their own balcony, bathroom, mini bar etc. 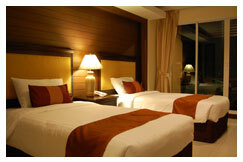 These rooms are similar in size to the Deluxe Suites, have their own en suite, mini bar etc. and most have excellent sea views. The private balconies all capture the refreshing sea breeze.